A blue scrub top, autographed by the cast, from Shonda Rhime’s 2005 medical TV drama Grey’s Anatomy. The medical drama series focuses on a group of young doctors at Seattle Grace Mercy West Hospital, beginning their careers as interns. The show's namesake, Meredith Grey (Ellen Pompeo), is the daughter of a famous surgeon, Ellis Grey (Kate Burton). 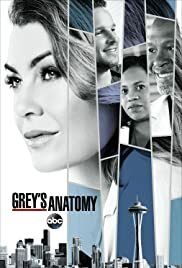 Grey struggles to maintain relationships with her colleagues, particularly the hospital's one-time chief of surgery, Richard Webber (James Pickens Jr.) due to a pre-existing relationship between him and her mother. This distinctive blue scrub top, so recognisable from the show, is autographed by eleven cast members including Ellen Pompeo (Meredith Grey), Sara Ramirez (Callie Torres), Chyla Leigh (Lexie Grey), Justin Chamber (Alex Karev), Patrick Dempsey (Derek ‘McDreamy’ Shepherd) and Sarah Drew (April Kepner). This item is made of 65% polyester and 35% cotton and is a medium size. It shows virtually no signs of handling and storage, it is excellent condition.